Keyboarding lessons must be completed in the computer lab. Course can be completed at all campuses. Lab format with an online compon ent. Contact instructor for more information. 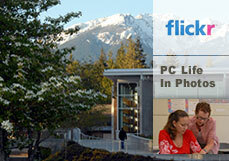 Class can be completed 100% online or meet at the Port Townsend campus for lab format. Hybrid class: On campus sessions meet on the days listed. The balance of instruction occurs online as directed by the course syllabus.